It seemed only appropriate to follow all my recent blog posts of women with a drawing of Charlie Sheen (being the renowned womaniser he is). This was done for FHM magazine Australia. 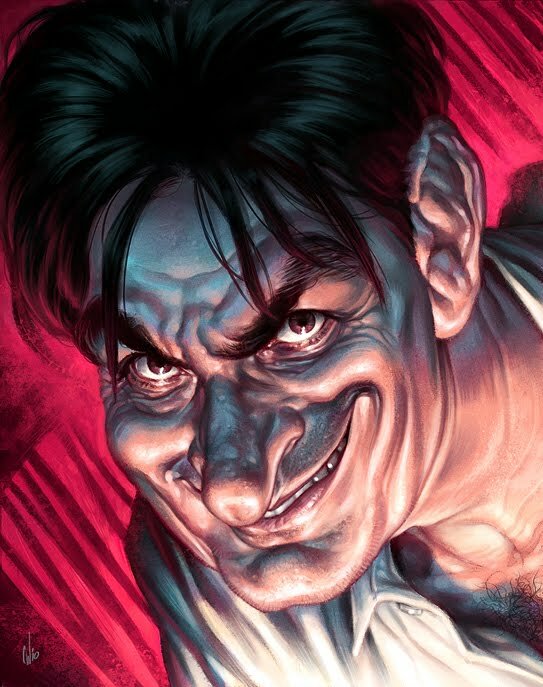 I was trying to go for sinister and sleazy, two words synonymous with Sheen.